With football season starting up, I've had "game-day" foods on my mind. I'm all about taking familiar comfort foods that everyone loves, & turning them Paleo-friendly. & That was the inspiration for this recipe! Everyone loves pizza, right? Maybe some prefer certain toppings over others.. but pretty much everyone enjoys pizza. 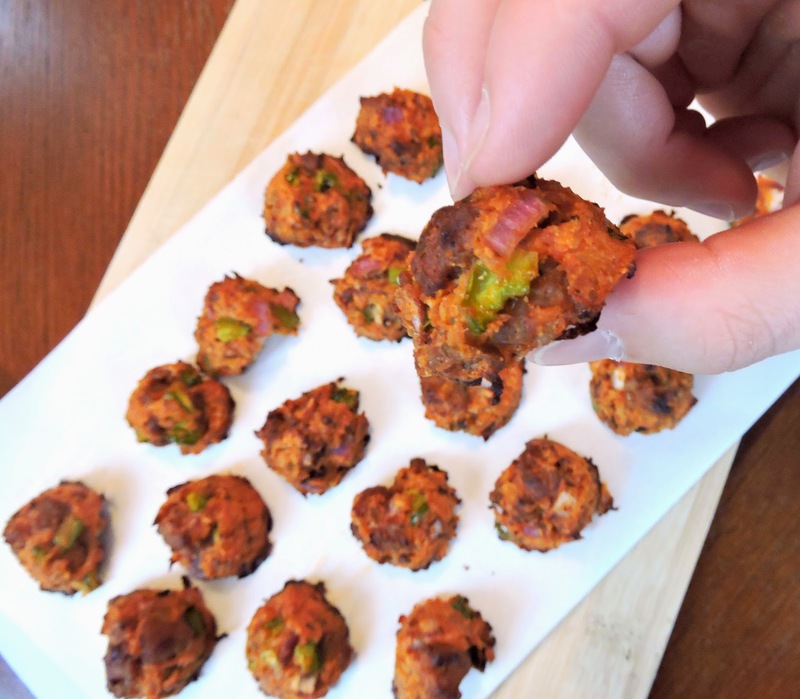 So switch up the "topping" ingredients to suite your taste buds~ and try out these Paleo Pizza Bites the next time you're in need of a healthy (yet crazy delicious) finger food. I went for the 'combination' flavor since that's my favorite, but I would recommend trying out pepperoni, meat lovers, or Hawaiian! These little bite-sized snacks taste just like a bite of pizza, but are made from primarily meats & veggies (with just a little egg & coconut flour to bind them together). You would never believe the #1 ingredient is cauliflower! Cook the Italian sausage in a large skillet until crumbled and no longer pink. Transfer the sausage to a large mixing bowl, and mix in the remaining ingredients until combined. Bake at 375ºF for 30 to 35 minutes, or until browned around the edges and firmed to the touch. I can´t wait to try these. 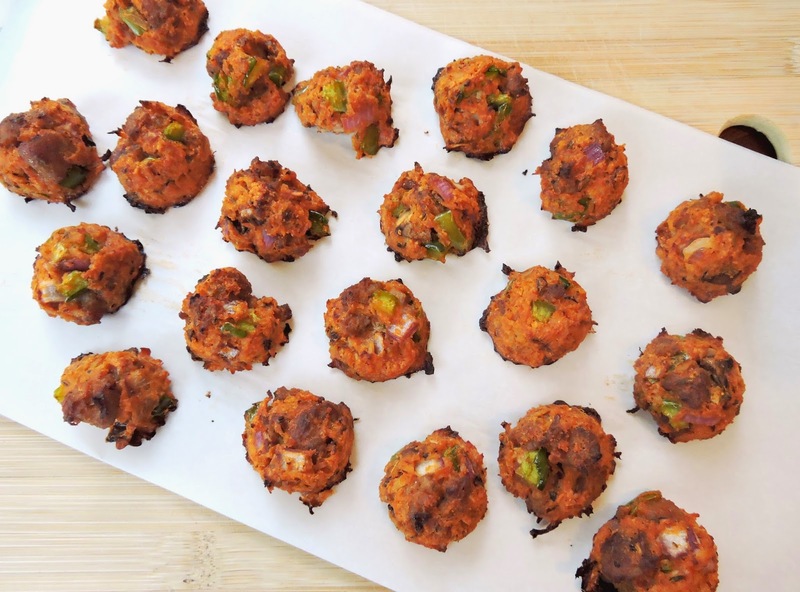 We totally loved your Cauliflower Biscuits with Bacon/Jalapeno, so I´m excited about these! These look delicious! I'm going to share this recipe with readers for game-day foods! I have a batch in the oven right now, crossing my fingers that they turn out well! how are you the shredding the cauliflower? I use a food processor to shred the cauliflower. & I have a whole post on it here: http://justjessieb.blogspot.com/2014/03/shredded-cauliflower-tips-how-to.html with tips & a how-to! I made these tonight and they are very tasty, but I found that I needed to add extra coconut flour, tomato sauce, spice & an extra egg to keep the "batter" from being too watery. I didn't measure out my cauliflower, I just shredded a medium head and added it to the mix so it could be that I had a larger cauliflower and that is why I needed the extra ingredients. They baked up well, but are still slightly soggy so I put some in the dehydrator as an experiment to see if that will make them less soggy. The kitchen smells great & my tummy is happy! This is a very yummy recipe and I will make it again! Thanks!!! Any reason why you don't saute the cauliflower first for this recipe, but you do for the bacon jalepeno biscuits? 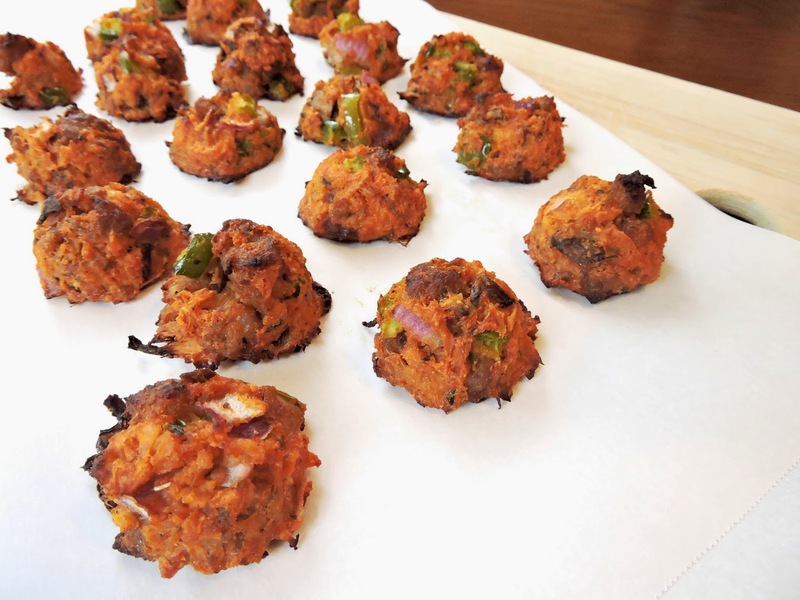 I am going to make these pizza bites, bit I am not going to use sausage instead I will use grass-fed beef. You give me so many good ideas for my paleo customers as well as for me too. Great idea Terri, I'm sure that will substitute well! Thank you for the kind words. So happy you've found some recipes to enjoy.